Hong Kong's new government-backed programmes to encourage individuals to buy private health insurance and save more for retirement, officially launched on April 1, 2019, have been positively received by Hong Kongers, with analysts saying the schemes could have a positive long-term effects for the insurance sector. The two schemes are tax-deductible, and encourage Hong Kongers to participate in private health insurance and retirement savings. Insurers, including AIA, AXA, HSBC Life, Manulife, and Prudential, have revealed that following the schemes' launch on April 01, sales have been strong, the South China Morning Post reported. "With the increased awareness on medical protection needs, customers are proactively reaching out to our financial consultants to inquire about the Voluntary Health Insurance Scheme (VHIS)," Priscilla Ng, chief customer and marketing officer of Prudential, said. The schemes will encourage people to buy health insurance and deferred annuity products from insurance companies"
Over 80% of Prudential's customers who bought the VHIS schemes are also buying the flexible plan which has more coverage but charge a higher premium than the standard plan, she said. 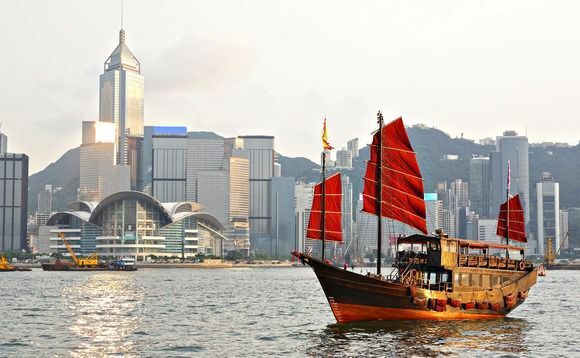 According to credit ratings agency Fitch, the creation of the tax-deductible schemes will result in benefits for Hong Kong insurers. "The schemes will encourage people to buy health insurance and deferred annuity products from insurance companies," Terrence Wong, senior director of Fitch in Hong Kong, told SCMP. "The other MPF providers will also benefit from the schemes as it will encourage more [individuals] to voluntarily contribute more to their MPF. The insurance companies will have more premium income by selling these tax-deductible products. They can also cross-sell other products to these customers." Wong added that those with annual earnings above HK$500,000 ($63,742) will find the schemes attractive, especially the voluntary MPF contributions. Furthermore, he said that the tax deductions these schemes feature will not create a significant dent in the Hong Kong government's tax income. Twenty-four out of the 25 officially approved standard plans, which offer basic protections such as a maximum claim of HK$750 ($95) per day for hospital room and board, went into effect early this month. All 13 "flexi plans", which provide higher benefits and wider coverage, also took effect. "We believe there must be adjustments. But the frequency and extent of adjustments will be decided after we have collected more data," deputy Secretary for Food and Health Fong Ngai said.